The data for Slovenia show that the number of newly diagnosed cases of melanoma is increasing, namely more so in women than in men. Most of the melanoma cases are most likely related to acute, occasional and excessive sun exposure, mainly in childhood. The melanoma is more frequent among north European population. 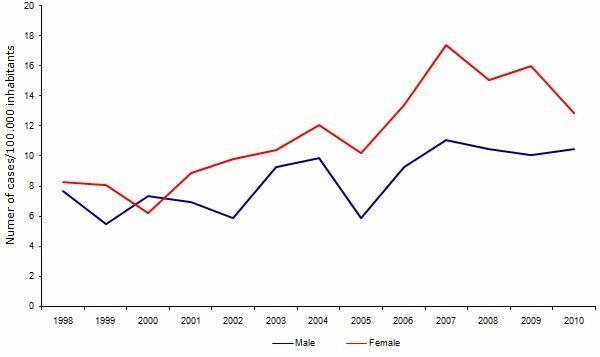 Nonetheless, the data for the year 2012 show that incidence in Slovenia is above the EU-27 average (according to the value of age standardized incidence level), both for men and women. According to data for 2012, the age standardized incidence level form melanoma in Slovenia is 21.2/100,000 for men and 20.5/100,000 for women whereas the EU-27 average for the same period is 13.2/100,000 for men and 13.1/100,000 for women. 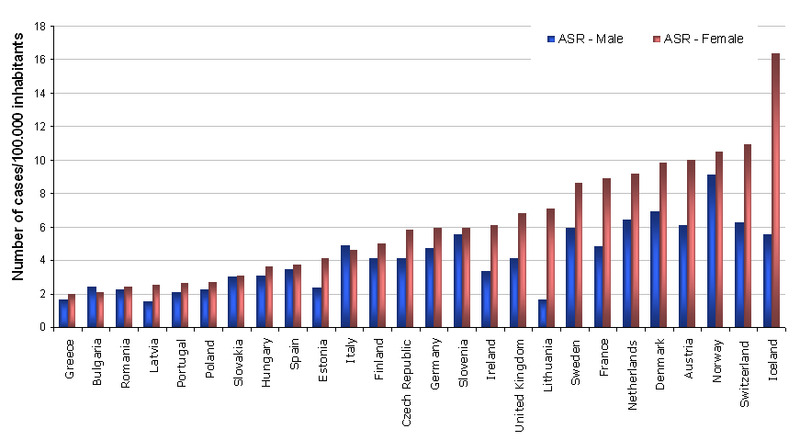 Cancer Registry of RS (www.slora.si), 2014.